Remote Screen Sharing is enhanced in this summer's release of OS X Mountain Lion, adding support for drag and drop file transfers between the viewer and the remote desktop and enhancing support for virtual displays. Screen Sharing, a remote access feature Apple first added to OS X 10.5 Leopard to enable viewing or controlling another Mac's desktop, is gaining a feature from Apple Remote Desktop: the ability to drag files from the local desktop into a remote session. After connecting to a remote host, the local user can now drag files to the desktop, or target a specific app, invoking Exposé to, for example, drag an image file to a Pages document, select the window of the desired document, and place the graphic in the document. Screen Sharing 1.4 in Mountain Lion now defaults to show a menu bar of text only items, presenting Control Mode, Scaling Mode, Capture Screen and the options to show the Shared Clipboard, Get Clipboard of the remote host, or Send Clipboard to the remote host. The toolbar is still configurable, so you can opt to show icons (the default settings in today's Lion) or show no toolbar at all. Below, a remote connection to a Mac displaying Launchpad is depicted in the default settings of Mountain Lion's Screen Sharing feature (which can be initiated from the Finder by selecting another Mac on the network and asking to share its screen). 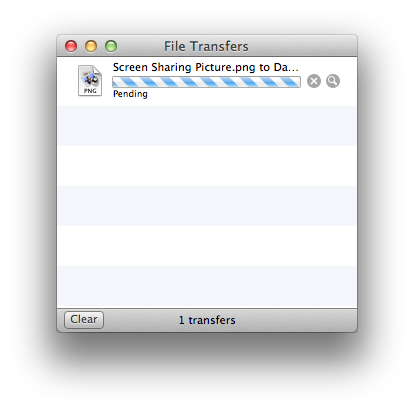 When copying a file, Screen Sharing shows a File Transfer window similar to Safari downloads or Messages file transfers. When connecting to a remote host, via the Finder, Messages or by IP address using the VNC protocol, Screen Sharing allows you to login as a local user, via Apple ID, or by requesting access form the remote user. 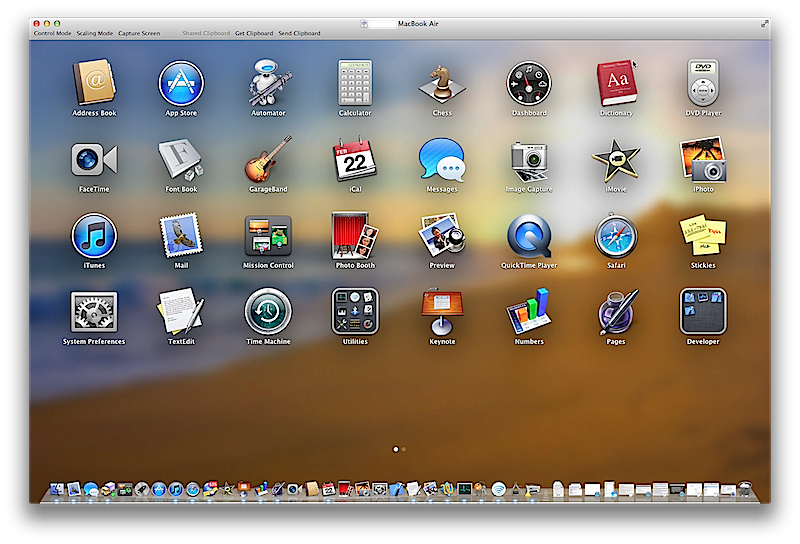 Mountain Lion also enhances the ability to view a "virtual display," or the ability to log in as a different user than the one actually logged into the remote host. 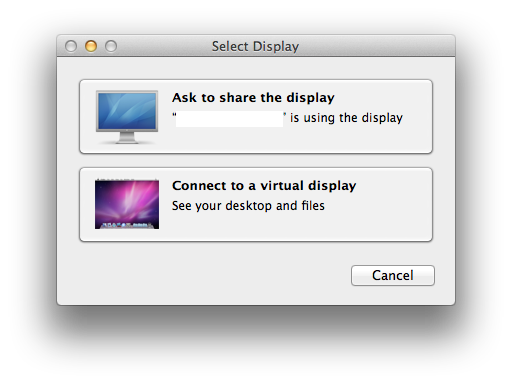 When connecting to a remote system as a user other than the one currently logged into the system, the remote user is prompted to "ask to share the display" or to "connect to a virtual display," which shows an alternative desktop. As with today's OS X 10.7 Lion, as AppleInsider exclusively reported last March, users can switch between the virtual display and the "hardware display," or what's actually being shown on the remote system's screen.